Truth to be told, our latest round of communications with TM yesterday does not revolved around the upcoming RM 38 1Mbps Streamyx package alone. 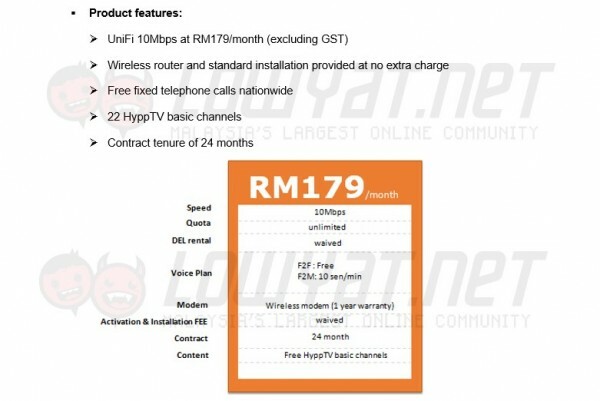 Right after the revelation of the company’s new UniFi 10Mbps package (shown above) that will be made available to consumers in July, we also asked the company regarding the differences between the newly announced package and the existing Basic VIP 10Mbps package. Well, the answer that we received might be a good news for some users out there. Read more to find out what it is about. In general, it is indeed true that there are no differences between the new package and Basic VIP 10Mbps package which is currently priced at RM 199 or RM 210.94 per month when you include GST into the picture. However, all existing customers of Basic VIP 10Mbps will be converted to the new package which is priced at RM 179 or RM 189.74 per month with GST once it rolls out to consumers on 15 July 2015. Current UniFi packages for residential customers. According to the written response that we received from Imri Mokhtar, the Executive Vice President of Consumer and SME at TM, the conversion will happen automatically. That being said though, it only applies to customers that didn’t subscribe to HyppTV packs or HyppTV’s premium channels. As for what is going to happen to such customers, the statement didn’t offer much clarifications for them apart from that the company will be “looking into more exciting packages for existing customers who are currently subscribing to HyppTV packs / premium HyppTV channels in the future,” and “already have ongoing loyalty programmes for our existing customers where we offer various value added services for these customers,”. 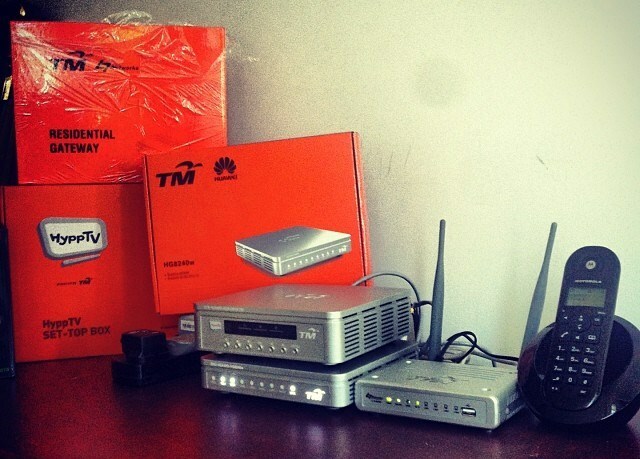 Standard set of UniFi equipments for residential customers. At the same time, Imri has also confirmed in the same written response that the price for TM’s existing broadband packages will remain the same even with the arrival of the new 10Mbps package as well as the basic 1Mbps Streamyx plan. 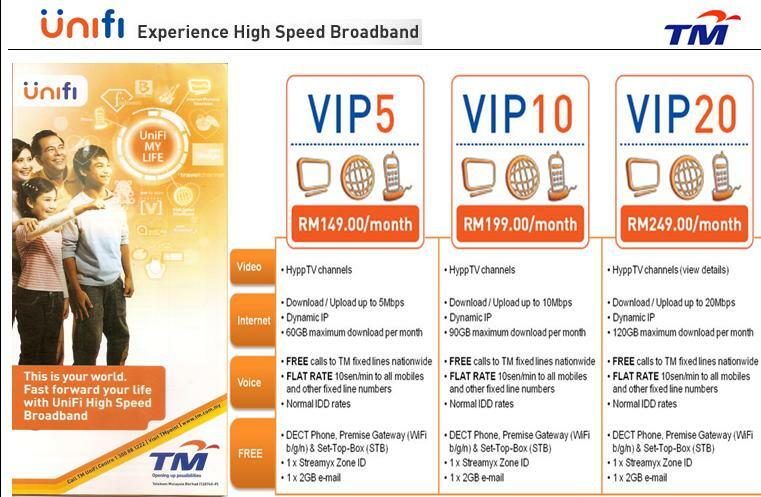 In other words, there will be no price reduction for TM’s broadband offerings for the time being. Still, we are rather surprised and curious that TM somehow does not consider the automatic conversion for its Basic VIP 10Mbps customers to the new and cheaper 10Mbps package as price reduction. Hmm.